Sometimes you’ve just gotta make a start and not wait for the perfect opportunity to arise. I can assure you that the *perfect* opportunity will never happen. Instead, carve out five minutes for yourself and just give it a shot. It has been so hectic around here this Fall that I really don’t know where the time has gone. If you look at my earlier posts, the kids were still in Elementary School. We’ve now moved on to High School and Middle School. Elementary school is now a thing of the past for us. With the increased activity and social levels, my stamping/creative time has taken a big hit. And yes, sometimes I just don’t feel creative. I love my monthly Downline meetings though, because it’s keeps me in the habit of crafting. 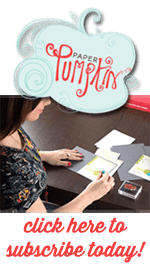 Here is our Make and Take from our November Downline Meeting. This card came together super quick. I wanted the illusion of the snow globe but without all the extra work. Using the circle thinlets, I die cut a hole in the front side of the card. 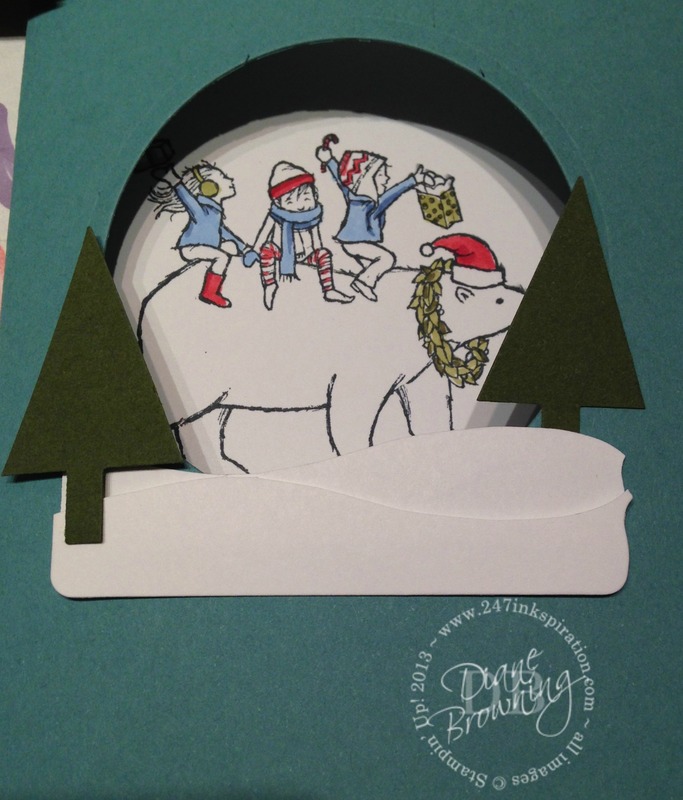 My snowy hill is one of the Chalk Talk Thinlets free-hand cut in half. The two trees use the brand new tree punch from the Holiday Catalog, but I have trimmed them down to scale. Note the bigger tree is in front of the snow and the smaller tree is behind the snow. Inside the card, I stamped the image from Bearing Gifts and colored in the wreath and hat on the bear along with the children. This card came together in just a few minutes. The most time consuming part was deciding which colors to use for the kids. I chose to use just Red, Blue, and Green to keep it simple. I’m working on several other Holiday cards and will get them posted soon!